Please click on the link below to open a spreadsheet designed by Bradford to help you determine the length of Wheelchair Access Ramp required for your needs. 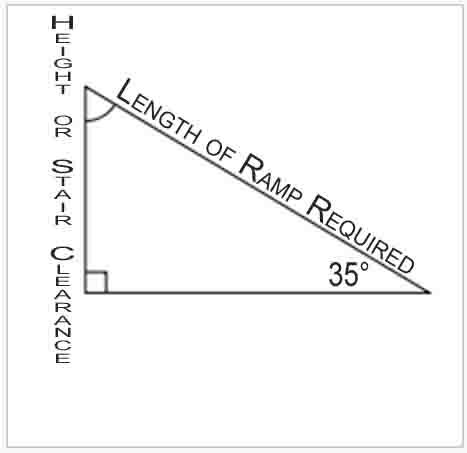 The diagram below illustrates the minimum information required to determine the Length of Ramp for a 35° angle of inclination required for a client's needs. 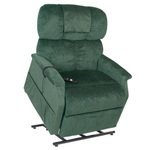 Bradford has determined this is the optimum angle that makes it easy enough for an individual to climb up the ramp in a manual wheelchair or for a person to push a someone up the ramp in a transfer chair. Using an angle below 35° will unnecessarily increase the length of the ramp beyond what is required or available. This is confirmed by using the Wheelchair Access Ramp Calculator. Bradford Medical Supply will respond quickly to help you and your family select the right wheelchair access ramp equipment. 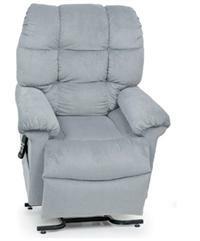 If you have any questions at all, please don't hesitate to contact us toll free at 877 580-5757. 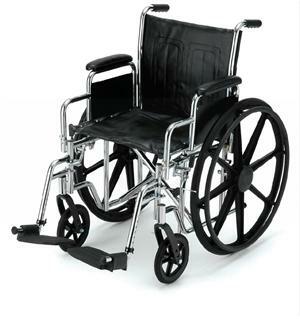 Bradford Medical Supply will respond quickly to help you and your family select the correct Wheelchair Access Ramp equipment. If you have any questions at all, please don't hesitate to contact us toll free at 877 580-5757. 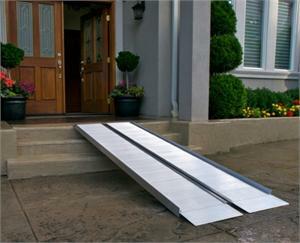 For a detailed discussion regarding the basics of buying and renting Wheelchair Access Ramp equipment click on the following link that takes you to bmsblog.com for the Wheelchair Access Ramp Rental & Buying Guide.